California Prescriptive Easements – When The Owner Gives You Permission to Use the Property, You Cannot Make a Claim For Establishing an Easement. California prescriptive easements arise when someone uses someone else’s property without permission; its almost that simple. The idea is that, if the use is open, and continues for five years, the true owner of the property has time, and an obligation, to take action to stop the unwelcome use, which is really a brazen trespass. In a recent Southern California decision, the party claiming a prescriptive easement had a problem – they had permission to use the property. Not only did the court reject their claim, but it awarded attorney fees to the defendant. Anyoneone finding themselves wondering about a prescriptive easement should consult with a Sacramento or El Dorado real estate attorney.. In Windsor Pacific v. Samwood Co., Windsor had a written easement giving it the right to access property and use roads across defendant’s property. 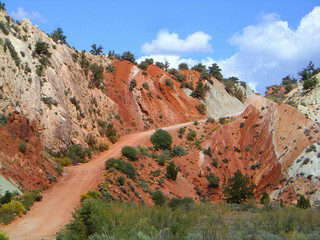 Specifically, to use Tick Canyon Road, and Trash Canyon Road, two roads that I certainly want to travel on. However, Windsor sued to establish a prescriptive easement. (4) for a period of five years. A fundamental premise is that the claimant’s use is adverse to the owner if the use is made without any express or implied recognition of the owner’s property rights. The claimant’s use of the land is adverse only if it is wrongful and in defiance of the owner’s property rights. If the landowner grants permission, the use is not adverse to the owner. California even provides a procedure for posting the property to prevent acquisition of these hostile rights, at Civil Code section 1008. The plaintiff claimed that the easement granted included some neighboring property, which Samwood did not own. Here, the court looked at the written easement, and found that Windsor was equitably estopped from denying that the grantor of the easement right lacked authority to grant the easement. Equitable estoppel provides that a person may not deny the existence of a state of facts if he intentionally led another to believe a particular circumstance to be true and to rely upon such belief to his detriment. The elements of the doctrine are that (1) the party to be estopped must be apprised of the facts; (2) he must intend that his conduct shall be acted upon, or must so act that the party asserting the estoppel has a right to believe it was so intended; (3) the other party must be ignorant of the true state of facts; and (4) he must rely upon the conduct to his injury. The court found that Windsor knew the situation; that Windsor’s accepting the easement acknowledged the defendant’s right to grant it; the defendant did not know of Windsor’s intent to claim a prescriptive easement; and, lastly, defendant would be injured if the plaintiff obtained a prescriptive easement across its property. Common sense goes a long way to avoid trouble, and the plaintiff here really did not think it through. 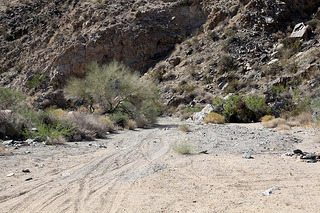 This plaintiff had a deal with the defendant to obtain permission to use Tick Canyon and Trash Canyon roads, exciting as that may be, and then turned around and tied to establish a hostile claim against the property.